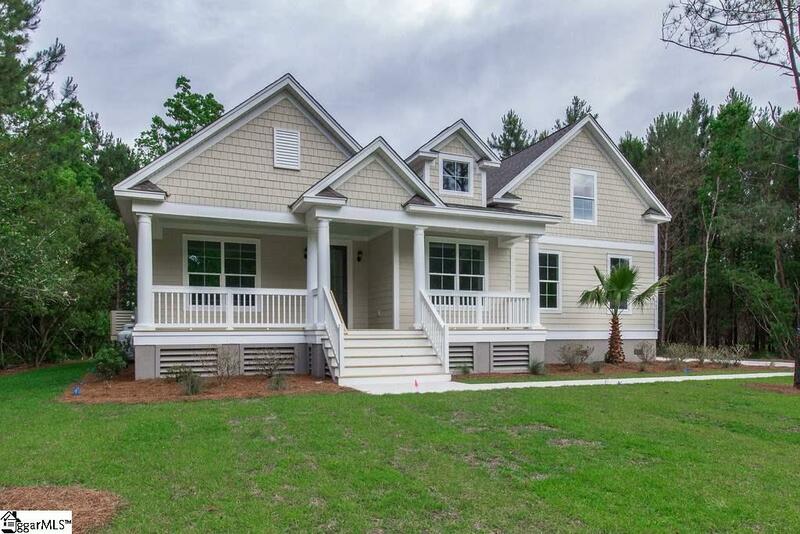 Edisto ranch floor plan by Crescent Homes in Carilion! An enclave of 6 beautiful one acre home sites with privacy and all nature has to offer. True ranch living on the first level, with an added bonus room on the second floor. You will find this home is packed with luxury features, fiber cement siding, over sized side entry garage, gas tankless water heater and gas fireplace. Hardwood flooring through-out first floor, Quartz counter tops and stainless steel appliances. Nearby is Furman University with its beautiful lakes, walking trails, golf courses and events. The towns of Travelers Rest and Greenville are minutes away or bike the swamp rabbit trail. Don't miss the opportunity to live in Carilion in a brand new home!